River flows are below normal. 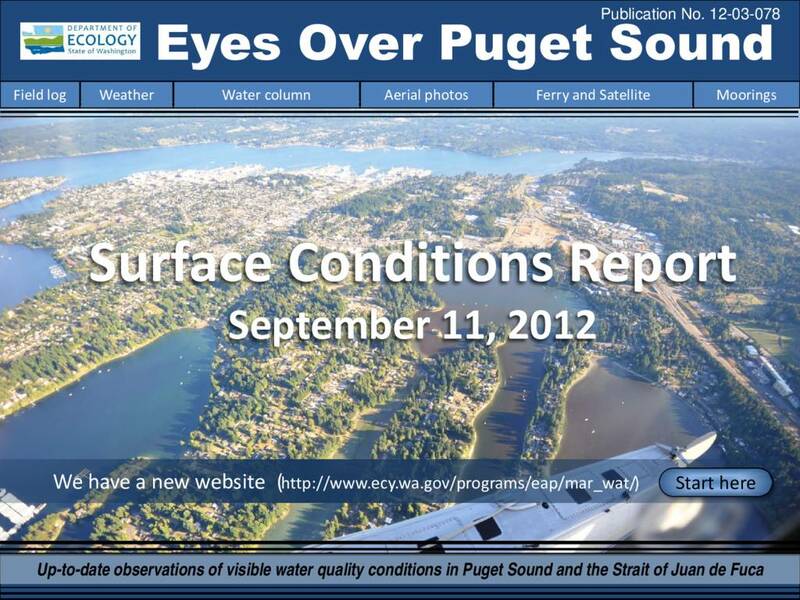 Temperatures in Puget Sound are 12-14 °C. Extensive red-brown blooms in Inlets of South and Central Sound. Jellyfish are increasing in numbers. Low-moderate fluorescence in Central Sound. In Possession Sound dissolved oxygen decreased by 1.1 mg/L. Description River flows are below normal. Temperatures in Puget Sound are 12-14 °C. Extensive red-brown blooms in Inlets of South and Central Sound. Jellyfish are increasing in numbers. Low-moderate fluorescence in Central Sound. In Possession Sound dissolved oxygen decreased by 1.1 mg/L.